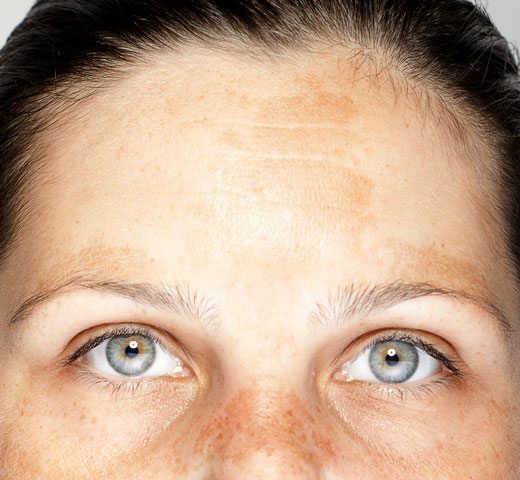 Melasma is a skin condition that is most frequently found in women. Melasma typically appears in the form of brown-colored patches on the forehead, upper lip, cheeks, nose and chin and is easily exacerbated by sun exposure. People who have been diagnosed with melasma often find it to be frustrating and understand that this skin disorder is not cured, but rather managed. Upon your consultation for melasma at DLVSC, we will help you to fully comprehend the diagnosis and give you the necessary tools for controlling it.